It’s that time of year again where I have time on a weekend to hold a shooting bootcamp. This is my #1 asked for class as it involves us going out into the field and working in difficult lighting conditions using natural, on-camera & off-camera flash. 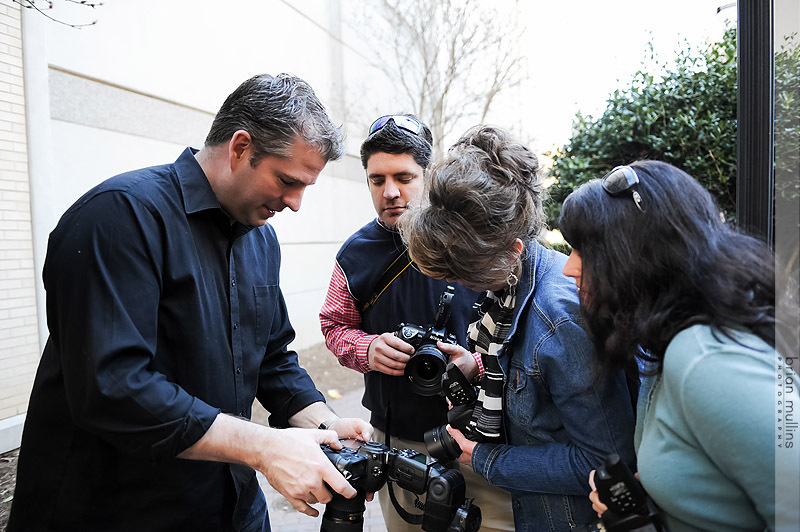 This class requires the photographer to have a good understanding of shooting fully in manual mode so if you are comfortable with that, I highly recommend taking my Photography Bootcamp class first. In the shooting bootcamp, we really look at using natural light properly (so much more to it then going outside), blending on camera flash (yes, direct flash), off-camera flash, unique light sources (once it gets dark) and how to use your surrounding environment to shape light. We’ll be in the field (most likely downtown Raleigh) and walking around so wear comfortable shoes and pack lightly (I recommend one camera, a lens bag and some water). I bring an off camera flash and triggers for every to use. All of my gear for this workshop is basic stuff that you can get yourself – whether you are a professional or amateur. The shooting bootcamp is the natural extension of the photography bootcamp class as we take the basic knowledge and apply it to shooting a model and each other. To sign up, visit the below link and reserve your spot. Due to the nature of the class I limit it to 10 people and it’s first come, first serve.